I've seen several threads on LED lights but I can't find the definitive answer to two questions that I've got. Can anyone here help? 2) if anyone here has installed LED's to replace their halogens on their 2018 F-150... WHAT DO YOU THINK? Did they actually throw more light (lumens) on the road? On my 2007 F-150, with H13 bulbs, the LED worked perfectly. In 2016, I acquired a Transit Connect, with H11 bulbs. Being new, there was no information. Forums did not help, because most Transit Connects sold were fleet vehicles, and employees were not spending their own money to modify the boss' cars. I took a chance. LED lamps worked perfectly. No issues whatsoever with the Body Control Module. Model year 2018 F-150 may or may not have similar programming algorithms for the Body Control Module and how it monitors the lamps. You could take a chance, like I did, and risk screwing something up. I bought from Amazon, so that I could easily return if parts did not work. My strategy was that if something went wrong, I would replace the stock LED lamps, feign ignorance, and ask my dealer to fix it under warranty. As for real life results on the road, opinions vary. It is known that a lamp housing designed for halogen lighting, works best with halogen lamps. Or is that really a theory, since it's not working so great to begin with. You have a yellowish light, and you don't see well enough. Lighting is poor enough that you are seeking an upgrade. 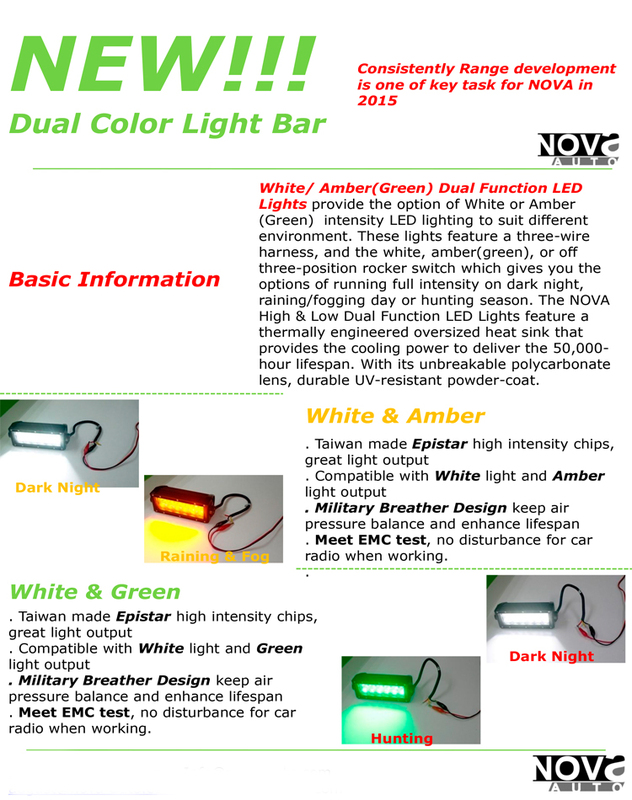 LED are available in different color temperatures. 5000 Kelvin to 6500 Kelvin will give you daylight color. The typical result is that LED is brighter, whiter, and everything you see appears to be more clear since the lighting is in daylight color. In most halogen lamp housings, the LED does not reflect very well, lighting is more scattered, and typically does not project the same distance. Unfortunately, with a new truck, you may be the first to experiment and post results. If the LED install and operate properly, you now have to determine if you like the effect on the roadway at night. As you are driving in your environment, do you actually see better. All subjective to your eyes. Some of us live in cities, where we already have overhead LED street lamps, and LED headlights work very well on public roads. In some places where the street lights are still high pressure sodium, LED headlights offer a different result. If you drive on dark country roads without municipal lighting, results my be different. My personal experience is that in the last 10 years, LED automotive lamps have improved by leaps and bounds. My first set of LED had a single LED pointing up, to reflect off the top side of the reflector to put light on the road. A single LED point down, to reflect off the bottom of the reflector, which bounced the light up as a high beam. This worked. New LED chips came on the market. The lamps were more effectively cooled with fans. Better heat sinks and cooling fins. Then LED lamps came with LED chips on 4 sides, to fill the entire reflector. A lot more light. More lumens. Now there was light all over the road, light on the walls of buildings so that you could read the address number on doors, light in the trees for bird watching. Then LED companies found that they could build the lamps with a newer generation of LED chip, with the chips only on 2 sides. The LED chips should install to face side to side, pointing at 3 o'clock & 6 o'clock. This kept the reflected lighting, with even more lumen being emitted, to point forward, not down towards the ground, and not up in the trees. Now the problem is that with different cars, the mounting tab slots on the lamp housing are not all in the same position. So while you can install it, the final installed position may not point the LED chip in the proper direction. I see a lot of cars with LED lamps, where the LED chips are point at 1 o'clock and 7 o'clock. So it's bright for anyone looking into the lamp, but the useable light is scattered and all over the place. Better LED lamps allow for adjustment, so that the LED chip can be rotated into the correct position. 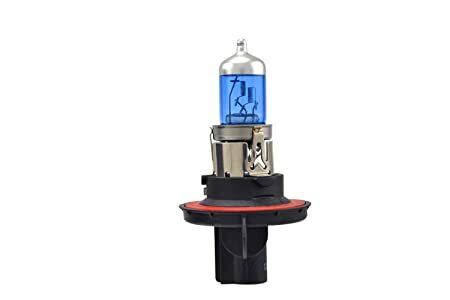 I pulled the all but worthless halogens out of my 2014 F150 and just replaced the bulb with the highest lumen LED I could find. Makes for great headlights but as always, there's that downside. It improved the low beams immensely. While it has high beams, they're no better than the low beams. Frankly, you can't tell if they are on high or low beams if you don't look at the beam indicator on the dash. The ones I bought came from Amazon and were not real expensive. The beam cut off does not blind any oncoming cars which is important. Another downside to this venture. In all States, whatever you do in replacing any lights on the vehicles, the part MUST carry the appropriate DOT number on the part. No DOT number and the cops can confiscate your truck, it is Federal Law. Some areas this is no big deal. Try it in small town Texas and yer walking home. Chose wisely, grasshopper. What I would suggest, skip doing anything to the headlight bucket. There's not a lot you can do with it and stay legal. I'd be looking for one of the LED light bars that puts out far more usable light than anything you'll ever do to a headlight. Mount it on the front. Either wire it separately or wire it into the fog lights if you have them. You're going to get far, far more usable light that way than anything else you can buy. You want to look for lumen output(how much light it puts out), color or temperature of the light, and warranted to be water PROOF, not water resistant. Temperature of the light- if it's about 2800Kelvin, it will be a yellow looking light. Anything over 5000 Kelvin means it will be a blue light. The temperature at 4500K to me is the best color of light. As The Fonz used to say, "Exact-A-Mundo"! 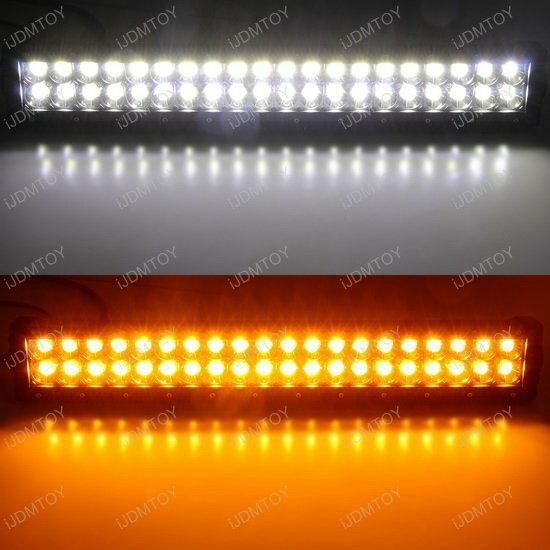 LED light bars are all over eBay, Ali-Baba, & amazon.com. Very inexpensive. And even the least effective light bar, puts out more light than your headlights. Most of them can be wired with a remote control device. This allow you to run power to the control module, control module to light bar, and keep all the wiring under the hood. No drilling holes through your fire wall, or drilling into your dashboard to install a switch. I like the dual color LED light bars. Amber and daylight. Amber is perfect in inclement weather. Daylight temperature is great in underground parking garages, off-road, or on unlit country roads. Prices can range from under $20, to over $100. It all depends on what type of LED technology you choose. They are almost all made in China. Probably from the same handful of factories in Shenzhen. Before the LED automotive lamps came on the market, old school guys used to use higher wattage lamps. They work. Believe me. I've used higher wattage lamps on every car I owned. You see so much more. Of course you are using more power, versus LED which uses significantly less power. With 100 watt high beams, you will not need offroad lights. And in case you are wondering......no cop, ever, anywhere, pulled me over for bright headlights, or wanted to inspect my headlights. They simply can't tell with the naked eye, what the wattage in your bulbs are. As a proud "old school guy," I've used higher wattage bulbs for years in many different vehicles. The problem is, higher wattage bulbs require heavier gage wiring to handle in the increased load. If you don't upgrade the wiring, the extra load will end up as resistance (heat) and you'll see only a partial increase in usable light on the ground. Worse yet, you"ll risk overheating the OEM wiring harness and / or melting components - usually the connector at the bulb. And as for the "blue" tint available on many bulbs, don't waste your time. It actually cuts down on the amount of usable light from the filament. Contrary to popular belief, "whiter / bluer" light does not always translate into something easier for the human eye to see. I know this is not from a Ford forum, but the link below does an awesome job of explaining how and why to upgrade the headlight bulbs and wiring to dramatically improve headlight performance. It also debunks a lot of myths on the subject. Quick Reply: 2018 halogen to LED conversion?? ?